During a meeting at Pocopson Elementary School on May 15, the Unionville-Chadds Ford School Board voted to appoint a new principal at Patton Middle School, and approved the next-to-last step for next year's budget. 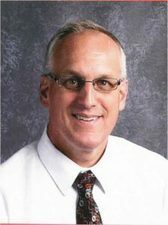 Steve Dissinger, who is currently the principal at Hillendale Elementary School, will become the principal of Charles F. Patton Middle School, effective July 1. His salary will be $148,101.24. Steve Dissinger has been approved as the new principal for Patton Middle School. The replacement process for Dissinger at Hillendale is under way. Hoffman was promoted to Director of Curriculum for the district earlier this year. Board member Gregg Lindner presented his suggestion for a slightly higher tax rate. He proposed “increasing the tax rate from the 2.16 weighted average to 2.34 and provide $100,000 of revenue to reduce the amount of dollars that will be required next year from the unassigned fund balance/PSER fund. This increase, along with any savings from spending in the 2017-18 calendar year, would be able to reduce the risk of a simple math problem that occurs when continuing to spend more than we receive in a given year. We need a realistic program to meet long-term needs and reach 2032 (the end of current debt repayments) without causing damage to the district and without bringing back tiered cuts. The final vote to approve the proposed final budget was 8 to 1, with Lindner voting against approval. The budget calls for total appropriations of $84,932,572. The millage rate in Chester County will be 28.41 mills (a 2.6 percent increase over last year). The millage rate in Delaware County will be 23.63 mills (an increase of 0.30 percent), for a weighted average of 2.16 percent. The final adoption of the budget and levying of real estate taxes is expected to take place at the June 19 school board meeting. A video of the May 15 meeting, and details about the district's and board's activities, are available at www.ucfsd.org.